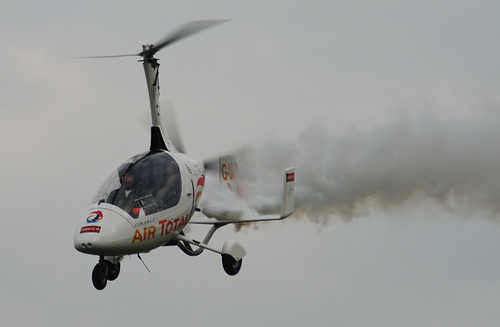 The rotor blades on this gyrocopter rotate about 400 times per minute and oscillate to a maximum of 30. They are mounted on ° two plastic bushings and two thrust washers each made of iglide® G300. The rotor head uses four plain bearings and thrust washers. Other bearings absorb the rotary motion of the brake lever. 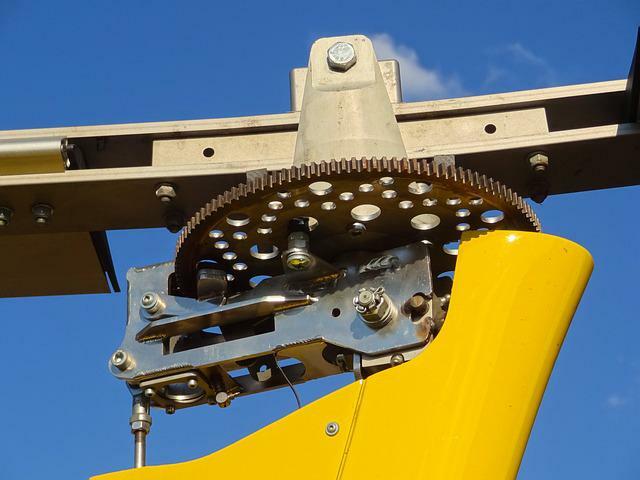 In addition, two igubal® self-aligning pillow block bearings are used in the... A gyro is under full control while descending, as the airflow is coming up from below the rotor blades to keep them spinning. 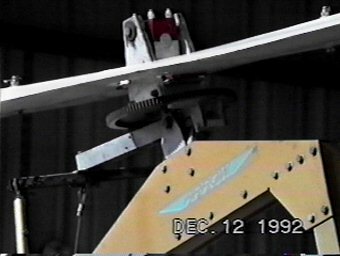 While descending vertically, a gyro can easily resume forward flight by either lowering the nose to regain forward airspeed, or use the engine's thrust to do so. To make the centre that holds them together, cut out an equilateral triangle with each side the same length as the width of a blade. Tape the blades to it as shown. Then poke a hole in the centre for the rotor shaft to fit through.